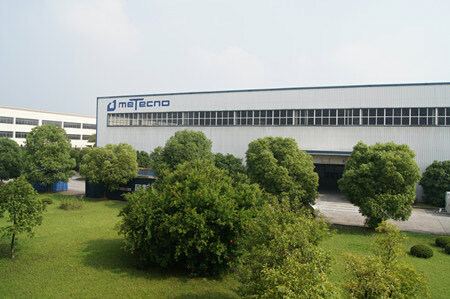 Beijing Bremet Technology Development Co., Ltd.
Industrial sectional doors are mainly used at logistic center, airport, industrial workshop, etc. Sectional doors, pull and push doors, and folding doors are available based on specific needs of customers. We can supply sectional steel doors with different sizes, and our engineer team is available to make custom design according to your requirements. 1. Our sectional steel doors are designed with stable working performance and high working precision. 2. 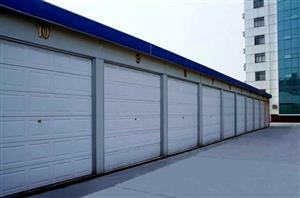 Core materials with large density are used to improve stiffness of the industrial sectional door. 3. Complete and excellent after-sales service is offered. 4. We have rich experience in design and installation of sectional steel doors. 5. Reasonable price without compromising product quality. Industrial sectional doors are suitable for industrial environments where doors are exposed to moisture, cold, dust, heavy wind loads, or other special environment requirements. Please inform us the detailed information for door frame dimensions and related structure parameters when you place an order. Terms of payment: 30% of contract price paid as deposit upon signing the contract, and 70% paid by T/T before shipment. Installation charge is to be paid before installing by T/T. 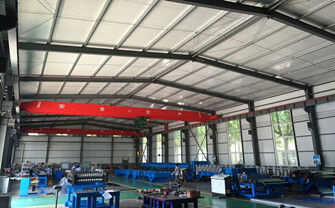 Installation and test: final customer will be responsible for the installation charges ($60/day for one staff) if he/she requires to install and test the machine at his/her factory. He/she will also need to pay the costs of technician incurred outside China, including round-trip air ticket, accommodation, local transportation, necessary communications and insurance, etc. Focuses on designing and manufacturing roll forming equipment and industrial products for logistics, including sectional doors, garage doors, and related accessories. We are a Chinese owned company with a global footprint, and we have kept making progress to meet the growing needs of our customers.